Are You Slowly KILLING Your Anthurium? You might be slowly killing your anthurium and not even know it. Has your anthurium stopped blooming or has its leaves started to turn yellow? 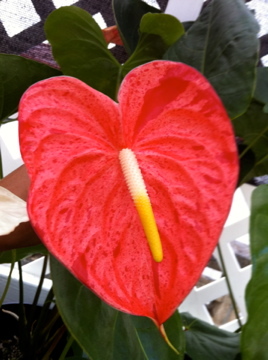 These are early warning signs that your anthurium may not be getting the care that it needs. Now I know that you love your anthurium plant and would never do anything to harm it. Are your watering practices leading to deadly root rot? Or do you know what to do to prevent the devastating anthurium blight, which can kill up to 95% of the anthurium plants that it infects? Almost all anthurium problems are easily preventable with the proper care. Recently, a new eBook on anthurium care has been released. It covers all aspects of anthurium care and it tells you how to prevent the majority of the problems that can kill your anthurium plant. Just imagine knowing what to do to prevent the deadly anthurium blight or what to do if your anthurium stops producing flowers. You can learn this and more from the comfort of your own home - wouldn't that be great? Yes, you can learn how to care for your anthurium properly. It truly is possible, and it is really quite easy, but you just need to know how. Enter your email below and get a small taste of the vital information that I offer in my eBook, through my anthurium care mini-course. You are thinking: "Why should I buy this eBook, when I can read all about anthurium care on the internet?" Sure, you can do your own research on the internet on how to solve the problem that your anthurium is facing. But just five minutes of research will tell you that there is a lot of conflicting advice out there. My family and I have been growing anthuriums commercially for over 30 years. In those thirty years, we have learned a thing or two about dealing with anthurium problems. In the 1980s, we have seen whole anthurium farms decimated by the anthurium blight. We're talking about 90 to 95% of the plants in a given field being wiped out. Now, we made it through that horrible decade. Not unscathed, but with fewer losses than most others. So perhaps I know a thing or two about anthurium care. 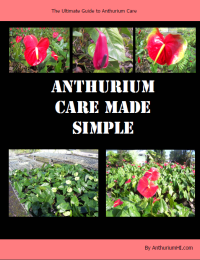 And everything I know, I've put into "Anthurium Care Made Simple". So Honestly...What's All This Worth? That's why Anthurium Care Made Simple is truly a bargain at $40.00, but I'm practically giving it away for only $19.95. Yes you read right...That's just a fraction of what it's really worth and the cost to put this eBook together. (Countless hours interviewing experts, doing research, and double checking to make sure that the information included is the most cutting-edge and up to date information there is). Why am I making this so affordable? Simple, because you see...since it's a digital eBook my costs to deliver it to you are small compared to if I had to actually print it out (Which would raise the costs to $40.00). Since this is an eBook (Electronic Book), you can download it to your computer within minutes (Usually less than 5 minutes). That means that you can get your hands on this latest cutting-edge information about anthurium care and start within less than 5 minutes. This is the bargain of a life time...honestly, I will have to raise the price from $19.95 to at least $30.00, once a few more overly satisfied customers email me with their testimonials (feed back). Yep...I will raise the price to $30.00, and honestly I have to - because the demand is growing so fast. You can order quickly and easily. It'll take you less than 5 minutes by following the blue link right below. Anthurium Care Made Simple is priced at pennies on the dollar considering what secrets you'll discover in this amazing new eBook. Now I don't want you to worry...because if for any reason you're not 100% happy and in love with this eBook, you're protected by my 100% RISK-FREE money back guarantee. And if you don't achieve those results, then I take that personally, so that's why I don't want to keep a red cent from you unless you're 100% satisfied with this eBook. If for whatever reason you don't feel that this eBook was worth 10 times your investment, simply let me know within 60 days I'll issue you a full refund, no questions asked. "Thank you for writing this book. My PLANTS appreciate it!!!!!" I’ve been an anthurium hobbyist-enthusiast for the past 6 years or so. 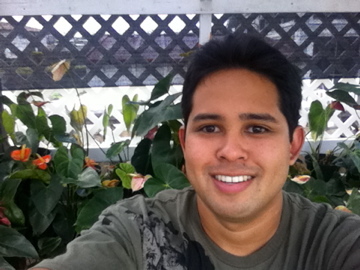 It was my first job at a retail nursery Koolau Farmers in Kaneohe, HI that sparked my interest and passion in these particular plants. Currently I have over 50 different cultivars including many that were developed and hybridized in Hawaii and a handful originating from the Netherlands. Over the years I have managed to keep a lot of anthurium plants alive and thriving but at the same time probably have killed twice as many. There are many sites on the Internet as well as a few books that briefly explain about the care of anthuriums. Most sources however only touch on the basic care, which is limited to the type of potting mix to use and the temperature requirements. Your book “Anthurium Care Made Simple” is truly a SIMPLE guide that covers the A-Zs of anthurium care. It is written in everyday-easy to understand language; no difficult scientific terminologies or analysis that most people can’t understand. I wish I had this book sooner so that I could’ve save more of my plants; many that were hard to get and can no longer find growers for. I now know how to properly water the plants in order to prevent root rot, which was the culprit of most of my anthurium plant fatalities. I also have a better overview of the fertilizer properties and schedule to help my plants flower more frequently. All and all I thought this book was great. Thank you for writing this book. My PLANTS appreciate it!!!!! For just $19.95 - You'll get more information than you can handle. But also keep in mind that this is the only place you can get your hands on this product right now (you can instantly download it). P.S. Remember, you're getting Anthurium Care Made Simple that's $40.00 in value that you'll get for just $19.95. Just click the blue link below and you can order securely through ClickBank. P.P.S. 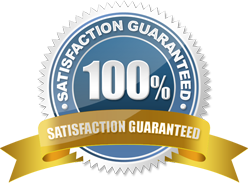 Also remember that you're covered by my 100% no questions asked, money back guarantee. P.P.P.S. After your payment is processed you will be immediately taken to the page where you can download Anthurium Care Made Simple. It is a PDF file that can be viewed with Adobe Acrobat Reader. If you have any questions, I can be reached through this contact form. If you have read this far and you haven't ordered my e-book, I really think you owe it to yourself to at least enter your email below to receive my mini-course on anthurium care to get a sample of what my e-book has to offer.